Or perhaps those knives on Amazon are not really VG-10. Lots of good stuff on Amazon. Lots of questionable Chinese garbage that isn't what it claims to be too. 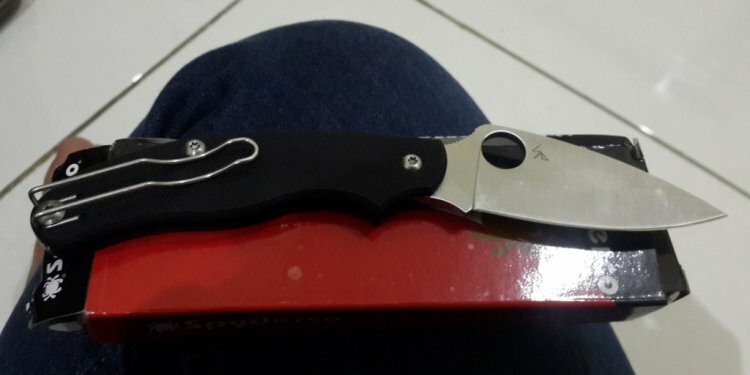 I'm very happy with Spyderco's use of VG10 as a premium steel and I will buy a knife in this steel if that is what it is made of. There are not many stainless steels I'll say that about. I'm not burned out on it yet and I have a lot of VG10 Spydercos. It's like trying to differentiate between a Timex watch and a Rolex watch > if you see a Rolex for $25 I think it's safe to conclude that you got a fake/counterfeit unit. I seriously doubt that you can get any type of quality knife sporting VG-10 blade steel for less than $50; and that's probably about as "plain Jane" of a unit as you can get and still have a decent quality blade steel. When it comes to "true bargains" in life there are really very very few of what I call a genuine "true bargain". Most of the time you simply get what you pay for. And possibly some of those internet bargain knives might really have VG-10 steel> but the heat treatment is more than likely lousy .